If you are looking for an open-minded business-driven woman who will have the best interests of the Membership at heart, then perhaps you will consider voting for me as your Director for Zone 10 for the upcoming term. I have been involved as a member of the Canadian Kennel Club since 1990. I purchased my first Schipperke in 1989 followed by a second one the following year. Since then I have bred over 30 Champions, an OTCH Ch, AGTCH, and several Obedience title holders. Majekin Schipperkes are located in Canada, the United States, and Europe. Majekin has been permanently registered for over 10 years. I have served as Secretary for the Northern Alberta Canine Association (NACA), held the position of President and Secretary for the Calgary Kennel and Obedience Club (CKOC), as well as holding the positions of Director and President of the Schipperke Club of Canada (SCC). 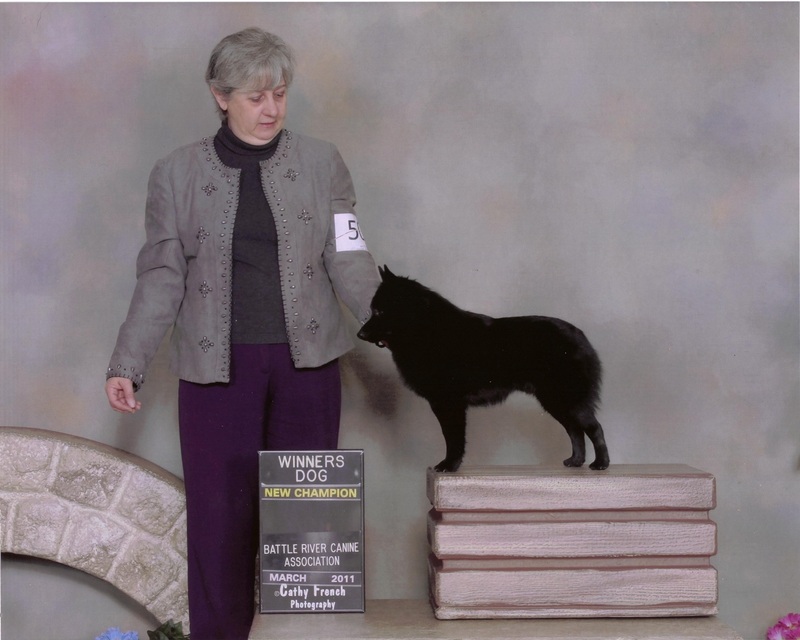 I am a Life member of the SCC and a member of the Schipperke Club of America. I have organized/hosted 4 National Specialty Shows for my breed club. I have a Bachelor of Arts degree from the University of Alberta, as well as a Diploma as an Oil and Gas Production Accountant. I have been employed in the Business field for over 30 years, starting in Hotel Management, next in various offices as Accountant and for the past 13 years in the Power Industry as a Market Transactions Analyst. I have participated in Dog Shows in several Canadian provinces as well as many American all breed and Specialty shows in both Conformation and Obedience. I have attended Westminster Kennel Club show twice. I am passionate about the CKC and the membership. If elected, I am committed to being open to members concerns and to communicate and listen and bring all concerns back to the Board if elected. I am not a judge, nor do I aspire to be a judge. My commitment as Director is to work for and with the membership on their concerns. I also promise to review all decisions and ideas in order to make an informed decision for the benefit of the Club and the members. I will work FOR you under the mandate and Bylaws of the CKC. If elected, you may contact me at anytime at majekin@shaw.ca with your ideas, suggestions and concerns.